Tana River County, located in the coastal region of Kenya, is among the poorest counties in the country when it comes to health. Shortages in healthcare professionals and specialised medical equipment, as well as widespread illiteracy, limited awareness of healthy habits, and substandard referral systems, are among some of the key challenges that the county faces in terms of healthcare provision. To address the needs of the hard-to-reach and marginalised communities living in the region, in April 2013 the Finnish Red Cross launched the “Tana North Integrated Maternal and Child Health” project, building on a long-term partnership in health programming with the Kenya Red Cross Society. Financed by the Non-State Actors and Local Authorities (NSA-LA) of the EU's Development Cooperation Instrument (DCI), as well as the Ministry for Foreign Affairs of Finland, the project ran for three and a half years. It aimed to enhance capacities in certain health facilities and provide locals with the knowledge and tools to seek medical assistance with their sexual and reproductive health. Many activities also strived to improve the nutritional practices of pregnant and lactating women, as well as children under five years old. A total of 100 local volunteers were trained as health and nutrition advisors before being sent around their villages to provide information and advice on how to prepare for possible health risks. Efforts were made to utilise the expertise and experience of local actors to reach the general public. For example, traditional birth attendants and support groups for mothers helped to identify people and facilitate referrals to maternal and child health services. 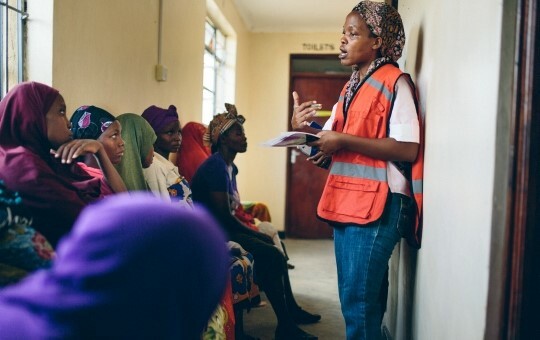 Community-level outreach enabled the delivery of medical support in hard-to-reach locations and areas not covered by the Kenyan government’s services. 28-year-old Saida was born in a small rural village in Madogo within a family of 12 children. 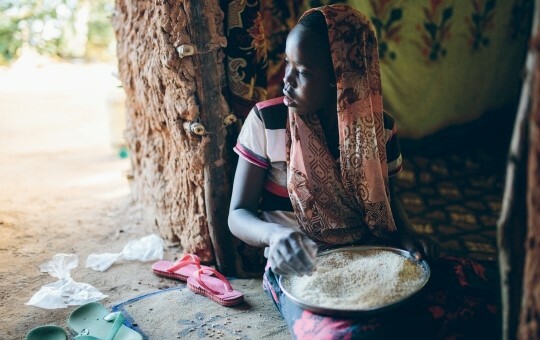 Like many young girls in the region, Saida was married at the age of 15, falling pregnant shortly after. With no formal education, she had limited knowledge of how to look after her unborn baby, as well as her own health during pregnancy. After a painful and traumatic birth, she received little support from outside of her community in taking care of her child. However, by the time she became pregnant again, the maternal and child health project that had begun in the region helped her to keep her children healthier and stronger. 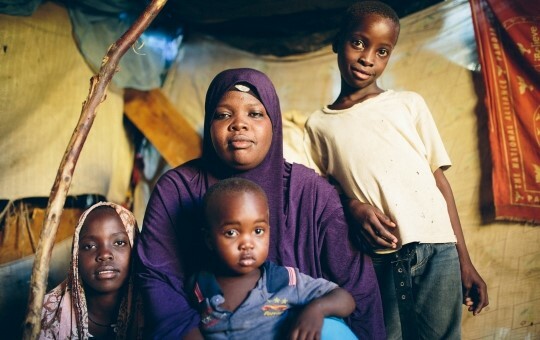 With her third child having been born in a hospital, Saida says she now appreciates the value of attending ante-natal clinics, and the importance of nutrition, immunisation, and good hygiene practices. “Children born outside a hospital can go up to 40 days without visiting a clinic”, she says. Saida also testifies that to ensure they have enough space in their house for each of their children, her husband has now agreed to family planning – something which was previously strongly resisted by many men in the community. When the project finished in September 2016, a total of over 70,000 people had used its services in some form. The number of pregnant women that had visited ante-natal care facilities had quadrupled, going from 22 to 80%. Mothers’ uptake of modern family planning methods had also grown from 10 to 18%, and significant improvements were seen in child delivery conditions and the use of mosquito nets by pregnant women and children under five years old. Kenya Red Cross Society volunteer, Harun Abdula was an involved in community outreach in Madogo during the project. A father of two children and a farmer, Abdula had spared time to give back to society, driven by his desire to contribute to improving the health of mothers and children in his village. “This is a project that came at the hour of need. I wish to thank all the donors who have made this a reality. I also believe that behaviour change is a gradual process, which I can equate to human evolution. I long for a time in the future when all men fully support family planning, all women give birth in hospitals, and our society is generally healthier”, he said.